With Chinese New Year done and dusted for 2017 (we hope the Year of the Rooster is treating you well so far! ), it’s been great to see what one of our child care centres did to celebrate this time of year. Acre Woods Eastwood was a hive of activity during late January with every room creating decorations and discussing the various celebrations around Chinese New Year. In the preschool room the children worked together to make a giant dragon which, when finished, hung proudly in the room. During the making of this stunning creature, the children learned that the dragon is a symbol of China thought to bring good luck and is often seen in festive celebrations such as Chinese New Year. The children also made their own Chinese New Year hats which they proudly wore and read books relating to the festivities. These books led to discussions about how they celebrate their own Chinese New Year and gave children the opportunity to learn about other people’s culture and develop a deeper understanding of the community from which they are a part of. The children at Acre Woods Eastwood make their own red envelopes and paper plate roosters. 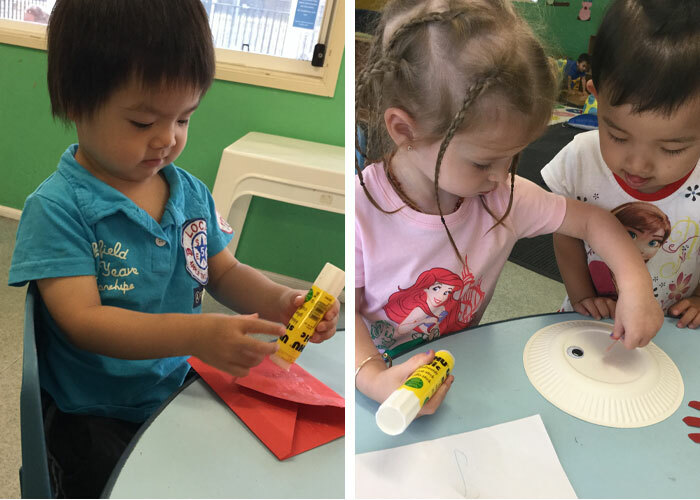 The toddlers room were busy making their own roosters with paper plates and also spent some time decorating their own moneybags and wishing tree. Working as a team, the children in the babies’ room made a collage of a rooster with the educator giving it the final touches. It was a great way to involve the younger children and helped develop their fine motor skills and socialisation skills. Celebrating Chinese New Year provided the children with an opportunity to explore another culture and to be proud of their own community. Acre Woods Eastwood is a child care centre in Sydney that proudly serves the local area. With educators who speak a range of languages including Mandarin, Cantonese, Shanghainese and Hindi, they act as a great support to families whose second language is English. To learn more about this early learning centre in Sydney or to book a tour, head here.